No-frills airline AirAsia India saw its net loss widen to nearly Rs 65 crore in the three months ended September 2015 even as revenues rose during the same period. In the year-ago period, the carrier - which began operations last year - had a net loss of nearly Rs 25 crore. The airline - a three-way joint venture between Malaysia's AirAsia Berhard, Tata Sons and Arun Bhatia's Telestra Tradeplace - has been facing stiff competition in the domestic market. According to latest financial numbers announced by AirAsia Berhard, its associate company - AirAsia India - recorded a net loss of nearly Rs 65 crore in the latest September quarter. 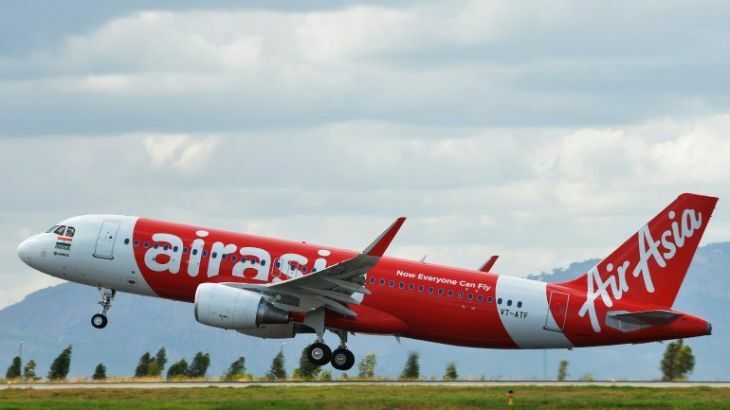 "AirAsia India recorded a net loss of RM41.3 million (quarter ended September 30, 2014: RM15.7 million) in the quarter under review (July-September 2015) out of which RM29.7 million is equity accounted in the AirAsia Berhad income statement," the Malaysian carrier said. Based on the exchange rate of nearly Rs 64 for one Malaysian Ringgit (RM), the latest September quarter's net loss translates to nearly Rs 65 crore. For the year-ago period, the figure would be Rs 25 crore. In a filing to the Malaysian stock exchange last week, AirAsia Berhard said that as the Group's interest in AirAsia India has been reduced to zero in accordance with MFRS128, "any profits will only be recognised when a total of RM11.5 million of unrecognised losses have been reversed". The financial statement has been made as per MFRS128, an accounting norm for investments in associates, permitted by the Malaysian Accounting Standards Board. The Indian carrier's net loss widened in the latest September quarter even as its revenues rose on the back of flying more number of passengers and higher average fare. "AirAsia India recorded revenue of Rs 1,312 billion in 3Q15, compared to the Rs 0.6 billion achieved in 3Q14 as operations commenced in June 2014. "The number of passengers carried increased 225 per cent which contributed to a unit passenger revenue of Rs 3,154. Ancillary income per passenger was at Rs 470 while the seat load factor was 76 per cent," the filing said. In the September 2015 quarter, AirAsia India carried 4,16,182 passengers, much higher than 1,28,089 people flown in the year-ago period. The average fare rose to Rs 2,684 in the latest September quarter compared to Rs 1,496 in the year-ago period, the filing said. At the end of September 2015, the carrier had five aircraft while the number of flights stood at 3,032.